Welcome! You're brave enough to ascend into the dungeon? Then enter a fantastic subterranean role-playing universe, in which a load of both funny and creepy creatures are awaiting you. Create your own dungeon and attract diverse underground lifeforms. Get to know earth imps, meet goblins in their workshops, accompany the warlock to the library, send trolls into the smithy and spur the ghastly creatures living in your dungeon with the aid of a succubus, a female whip-bearing demon that will increase their performance for a short while. 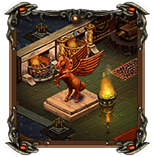 In in Undermaster, you employ a number of mythical creatures. Manage your own dungeon in this fun online role-playing game and illuminate the gloomy caverns with colorful torches. Experience a unique online role-playing game and become Undermaster yourself. You want to know what's expecting you? Then read on. It is an entirely different world: the role-playing browser game Undermaster lets you dive into a subterranean universe. Here, you create your own dungeon and upgrade it. Assisted by earth imps, you tear down walls and equip new rooms with floor tiles. Once you have laid a certain amount of floor tiles, the first inhabitants will move into your dungeon. They all have special skills, but also have needs. The earth imps, for instance, are masters at the art of preparing a steak - to the goblins' delight, who are tinkering in the workshop and always hungry. The vampire has redder and juicier delicacies in mind, and so you'd best send him to hunt above ground before the earth imps fall prey to his bloodthirst, which reduces their energy. The succubus, a female demon that will spur your monsters to complete their jobs faster, needs love. Bear these factors in mind to advance in the game and make sure to plan ahead. The browser game Undermaster lets you run your own dungeon filled with trolls, vampires and warlocks. You can play the online game for free, for Undermaster is a Free2Play-game. Those who want, can buy additional premium items using crystals. Crystals are the premium-currency used in the role-playing game Undermaster. Crystals can be bought using real money, but can also be gained by playing. While expanding your dungeon in the online role-playing game, you will come across crystal veins that you can mine and exploit. A truly fun role-playing game for everyone! Browser games are fast taking over the gaming market and are enjoyed all over the world, in many different languages. Play our online game Undermaster wherever you like, wherever you are - for free! With their many great features and functions, only role-playing games have many enthused fans worldwide. The same goes for the underworld-role-playing game Undermaster, in which you create your own dungeon consisting of up to six floors. 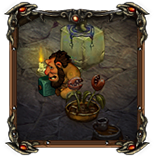 Start off with earth imps and keep building new rooms that you use to create an extra-homey dungeon. Experience the warlock in the library, the vampire in the crypt, the whip-bearing succubus in her chambers, from which she'll keep taking sprees towards the rest of the dungeon to spur the creatures of the underworld. Undermaster offers you a fun, humorous and lovingly created online strategy games-world. Dive into the fascinating word of Undermaster and join in for free. All you need is a web-enabled PC. 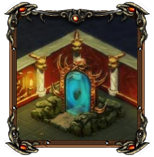 Sign in for free on upjers' portal under en.upjers.com and build your own dungeon. Discover monstrously good online role-playing fun. Undermaster – Come into the depth! Ascend into the bowels of the earth and join in for free. Discover the world of Undermaster and with it, experience fun online strategy games. Populate your dungeon with scary creatures, use the online role playing game research system, trade the products and pieces your creatures create, form friendships with your fellow players and visit your friends' dungeons. 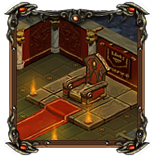 Help your friends solve tasks every day and marvel at their throne rooms. These are the representative rooms you'll find inside the dungeons of your fellow role players. With your throne rooms, you can show others how beautifully and lavishly you decorated your Undermaster-world. Play along for free now and experience a truly fun underground role-playing game. Earth imps, trolls, vampires and further subterranean creatures are awaiting you. You want to experience online role playing games for free? Then don't search any further: Undermaster is just the thing for you. 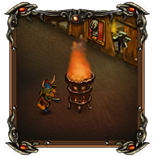 Discover the eerily entertaining browser game Undermaster with its multitude of online strategy game elements and fantastic online roleplaying game features. Undermaster distinguishes itself with its multifaceted game principle and its attention to detail. The more you expand your dungeon, the higher its creepily cuddly fun factor. At the beginning of the game you can move into various unique rooms, and later on you’ll even be able to expand your sprawling dungeon over several levels. Explore countless online roleplaying game opportunities. 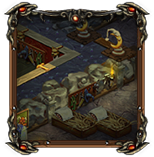 Decorate your dungeon’s rooms and take care of its inhabitants so that your earth imps, trolls, goblins and co. can expand your subterranean system of paths and chambers as efficiently as possible. Use the limitless possibilities, explore new features as you progress through the game and let yourself be surprised by the challenges that await you. Play for free now and experience monstrous gaming fun!